1) The maximum funding that can be requested for one woodland owner is $10,000.00, with exception for Category 6&7 treatments with funding cap of $20,000.00 (not including HST). 2) The maximum funding that can be requested by one contractor is $40,000.00, with exception for Category 6&7 treatments with funding cap of $50,000.00 (not including HST). Funding will be allocated based on a percentage of the total applications for program funding. Applicants will be contacted with the amount of funding granted and will have two weeks to submit confirmation to the Association for Sustainable Forestry, along with proof of public liability and property insurance and Worker’s Compensation Insurance or private insurance. Association for Sustainable Forestry shared a post. 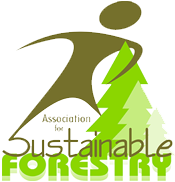 Association for Sustainable Forestry shared a link. Government has accepted Professor William Lahey's report and has begun work to put in place the tools to achieve ecological forestry in Nova Scotia. You can find government's response document here.